Even in times of tablets, phablets and smartphones, small, mobile notebooks are useful, because it is easier to type texts on a normal keyboard. 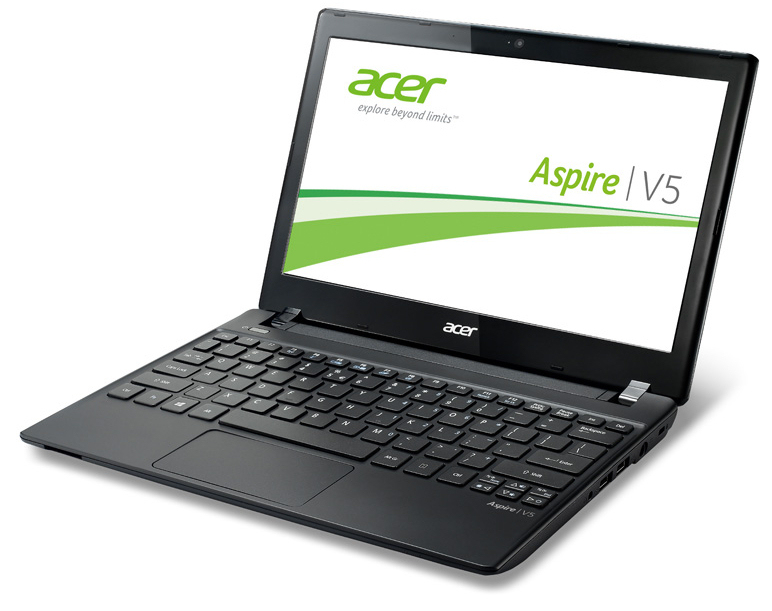 Acer shares this opinion and offers such a model with the Aspire V5-131. Careful readers will be familiar with the computer. Acer also sells it under the name Aspire One 756. We have already reviewed two models of this series, the Aspire One 756-B847X (Celeron 847, HD Graphics (Sandy Bridge)) and the Aspire One 756-NU.SH0EG.007 (Pentium 987, HD Graphics (Sandy Bridge)). 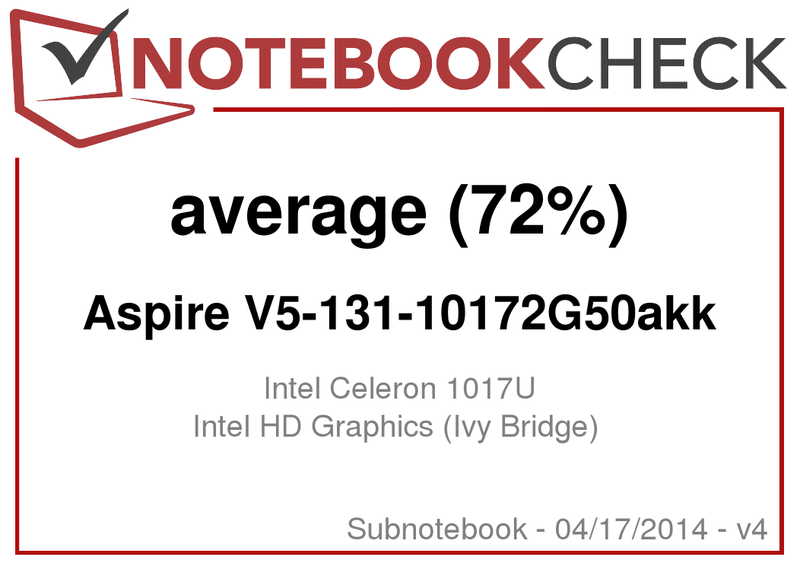 We compare the notebook to the following competitors: Lenovo's ThinkPad Edge E130 NZUAXMB (Core i3-3227U, HD Graphics 4000) and Acer's Aspire V5-122P (AMD A6-1450, Radeon HD 8250). As the notebook has the same design as the Aspire One 756, we will not describe the case, input devices, connectivity and speakers in this article. 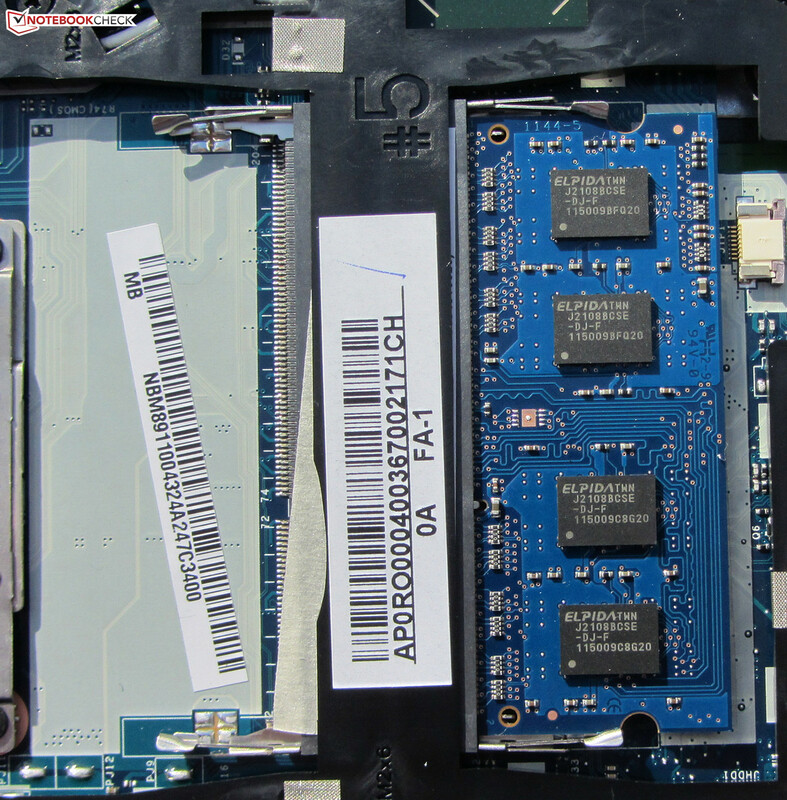 Information about these aspects is available in our review of the Aspire One 756-B847X and the Aspire One 756-NU.SH0EG.007. 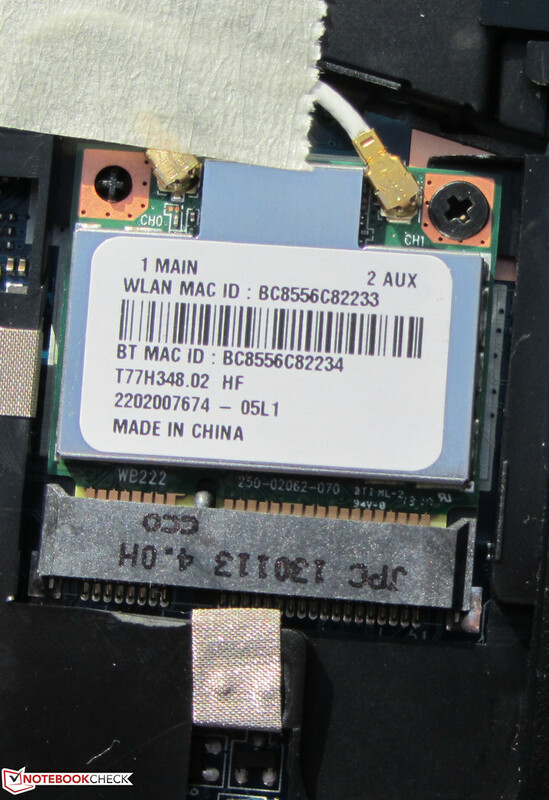 The maintenance flap of the Aspire allows access to RAM, hard drive, WLAN module and fan. You could even remove the latter for cleaning. 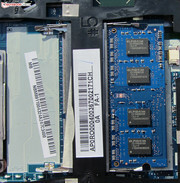 The notebook features two RAM slots. One of them is occupied by a 2 GB module. 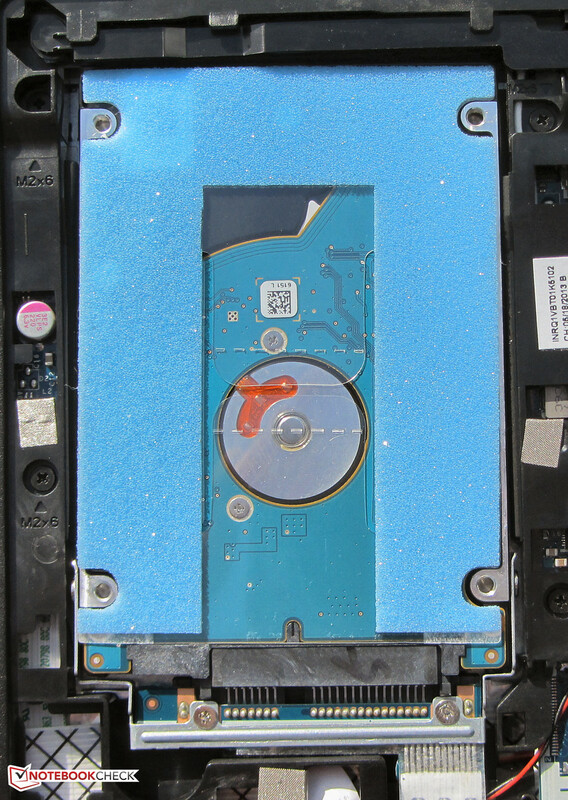 It is easy to replace the hard drive, but only 2.5-inch hard drives with a height of 7 mm will fit in the computer. Our test model uses Linpus Linux as OS. This Linux distribution can be replaced by Windows 7 or Windows 8 without problems as Acer provides drivers for these on its homepage. In addition, a driver DVD for Windows is included. Acer equips the small Aspire with a matte 11.6-inch display from Chi Mei with a native resolution of 1366x768 pixels and does not offer any alternatives. 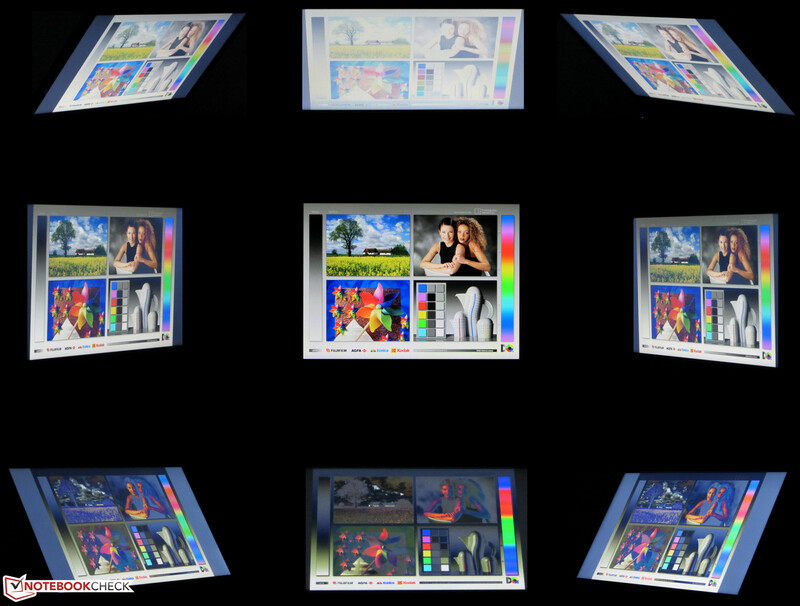 The average brightness of the display of 194.4 cd/m² is mid-range. 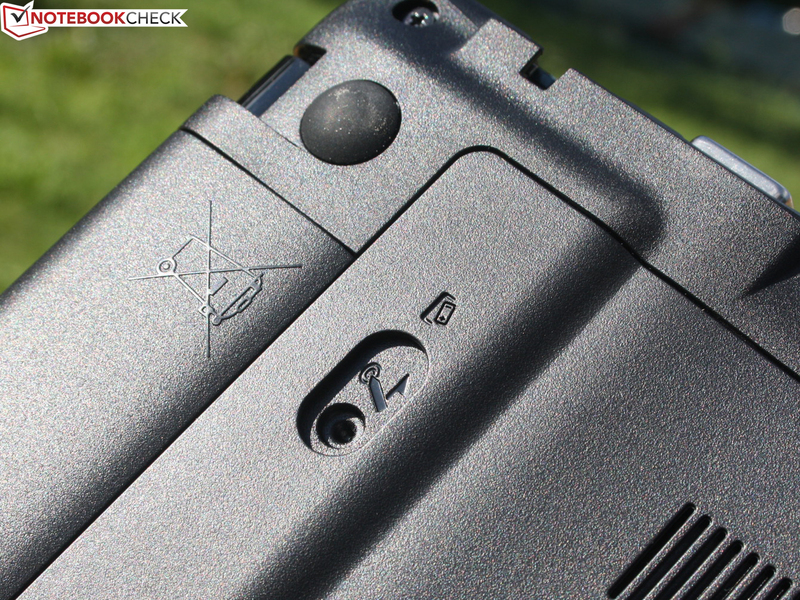 The ThinkPad Edge also comes with a matte, yet brighter (218.9 cd/m²) display. The V5-122P (206.4 cd/m²), which contrary to its competitors features an IPS display, comes in between the two. Contrast (444:1) and black value (0.43 cd/m²) are not good, yet acceptable. 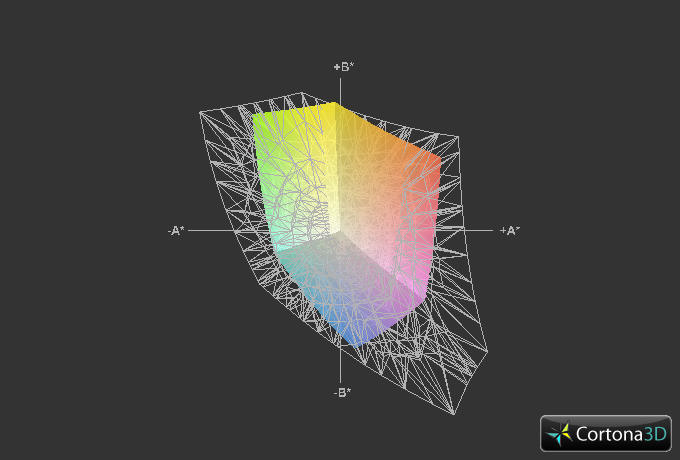 The IPS display of the V5-122P (500:1, 0.42 cd/m²) only achieves slightly better results. 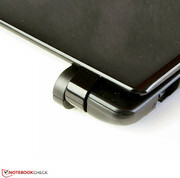 The ThinkPad Edge (228:1, 1.04 cd/m²) performs worse. The Aspire can cover neither AdobeRGB nor sRGB. 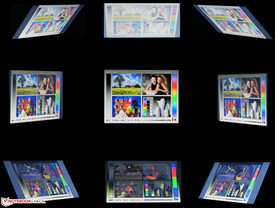 However, many users will not mind, as these color spaces are only important for professional image editing. The average DeltaE 2000 deviation of 10.68 is modest. Several dark colors and gray levels exceed this value. No color is in the target range (DeltaE smaller than 5). The display is bluish. Outdoor use is possible in the shade or when the sky is overcast. Thanks to the matte surface, disturbing reflections are avoided. The viewing angles are on par with many cheap notebooks. If you move vertically, the image quickly changes. The horizontal viewing angles are significantly wider. The display remains legible from the sides, but the bigger the angle, the darker the image. Those looking for a display with wide viewing angles should consider the V5-122P. Its IPS panel can be read from any angle. The Aspire is not designed for demanding tasks. It is a small, mobile notebook for word processing, Internet communication, and video playback including Full HD (H.264 Encoding). The DXVA Checker tool reports an average CPU load of 18 percent. Thanks to the big battery, the battery life is long. Our test model is the cheapest model of the series and costs about 250 Euros (~$337) without a Windows operating system. Further models with different CPU (Celeron 1007U, Celeron 1017U, or Pentium 987), RAM capacity, and OS are available. In addition, the Aspire is available in two colors: black or silver. 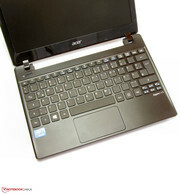 The Aspire One 756 with the same design is still available, too and the price is similar to that of the V5-131. 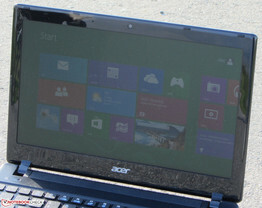 The Aspire comes with a Celeron 1017U processor with a clock rate of 1.6 GHz. The dual-core Ivy Bridge CPU does not feature a Turbo. During the Cinebench benchmarks the processor runs with its maximum clock rate. The V5-122P (AMD A6-1450, Radeon HD 8250) is significantly slower than the Aspire, because it is equipped with the weakest CPU. Thanks to its Core i3 CPU, the ThinkPad Edge (Core i3-3227U, HD Graphics 4000) achieves - as expected - the best results. As the ThinkPad Edge also features the fastest graphics core, it also takes the lead in the GL tests. The system works smoothly, which is reflected by good results in the PCMark benchmarks. The V5-122P (AMD A6-1450, Radeon HD 8250) performs significantly worse than the Aspire and the ThinkPad Edge (Core i3-3227U, HD Graphics 4000) is significantly better. 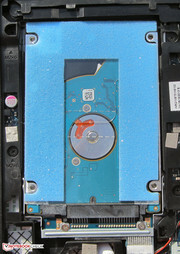 A Solid State Disk could improve the results of the Aspire. With our Solid State Disk (Crucial RealSSD C300 - 64 GB) the PCMark 7 increases by about 24 percent to 2442 points and the PCMark Vantage result rises by 41 percent to 5376 points. In addition, the user experience is faster and software loads quicker. 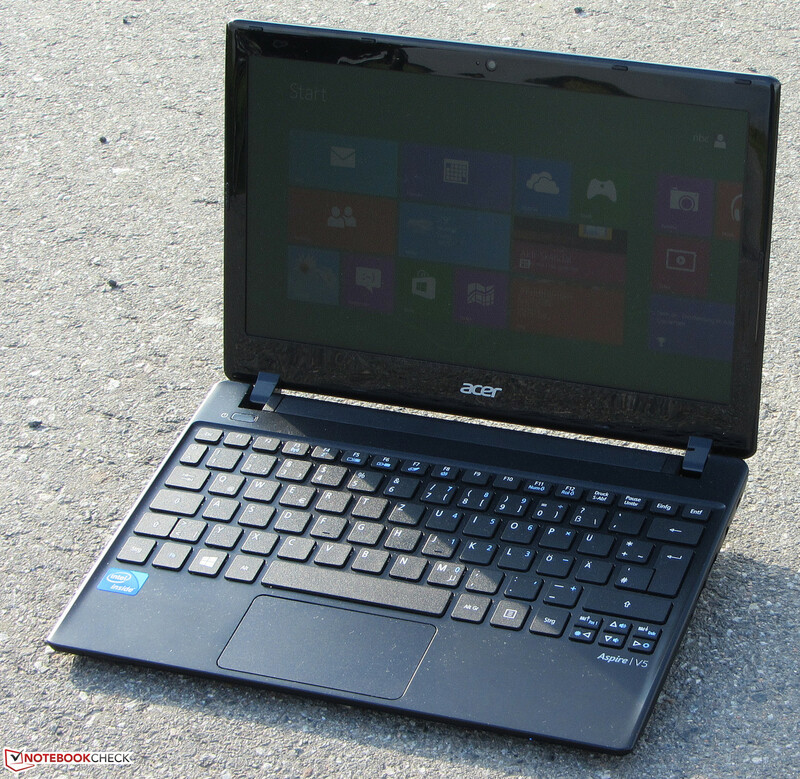 Acer equips the laptop with a model from the Momentus Thin series from Seagate. The hard drive has a capacity of 500 GB and runs with a revolution speed of 5400 rpm. CrystalDiskMark reports a read rate of 106.4 MB/s. HD Tune displays an average transfer rate of 82.8 MB/s. The values are usual for today's 5400-rpm hard drives. Intel's HD Graphics (Ivy Bridge) is responsible for graphics. It supports DirectX 11 and clocks between 350 to 1000 MHz. The performance of the GPU is between the HD Graphics 2000's and the HD Graphics 3000's. 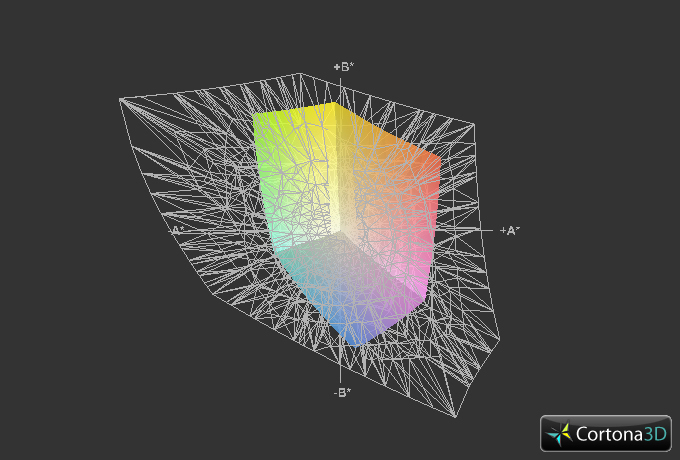 The results of the 3D Mark benchmarks are not surprising. The Aspire and the V5-122P (AMD A6-1450, Radeon HD 8250) are about on par, but the V5-122P is slightly faster in 3D Mark 2011, as CPU performance hardly matters here. The ThinkPad Edge (Core i3-3227U, HD Graphics 4000) is significantly faster than its competitors, because it is equipped with the fastest GPU. Computer games are not the main scope of the Aspire. Even with lowest resolutions, and lowest graphics quality, current games hardly run smoothly. However older games, e.g., Trackmania Nations Forever can be played. The V5-122P or the ThinkPad Edge is better suited for occasional games. A second RAM module could slightly increase the frame rate. With two modules, dual channel mode is activated and the GPU is used more efficiently. Depending on the game, the frame rates would increase by about 5 to 20 percent. While idle, we measure a noise level of 29.8 to 31 dB(A). The fan of the Aspire is often off and you can only hear the quiet noise of the hard drive. The ThinkPad Edge (31.5 to 33 dB(A)) and the V5-122P (32.4 to 36.1 dB(A)) perform worse here. Under medium (3D Mark 06) and full load (stress test: Prime95 and FurMark) the noise of the Aspire only increases to 32.3 and 32.6 dB(A), respectively. The ThinkPad Edge (35.2 and 36.6 dB(A)) and especially the V5-122P (37.8 and 41 dB(A)) are much louder. 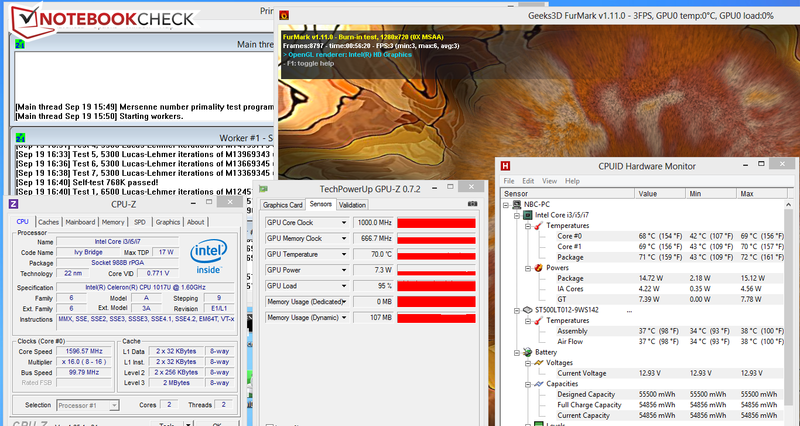 While idle, the case temperatures of the three competitors are all right with average temperatures between 30 and 35 °C (86 and 95 °F). The temperatures moderately increase under load. All three notebooks exceed 40 °C (104 °F) in at least one segment. As the palm rests do not get too hot, using the laptop always remains comfortable. The Aspire V5-131 stands out positively, as it remains significantly cooler than its Aspire One 756 siblings (Aspire One 756-B847x and Aspire One 756-NU.SH0EG.007) with the same design, which exceed 50 °C (122 °F) under load. In our stress test (Prime95 and FurMark run for at least one hour), the CPU clocks at 1.6 GHz in mains operation and on battery. The GPU always runs with maximum clock rate (1000 MHz), too. 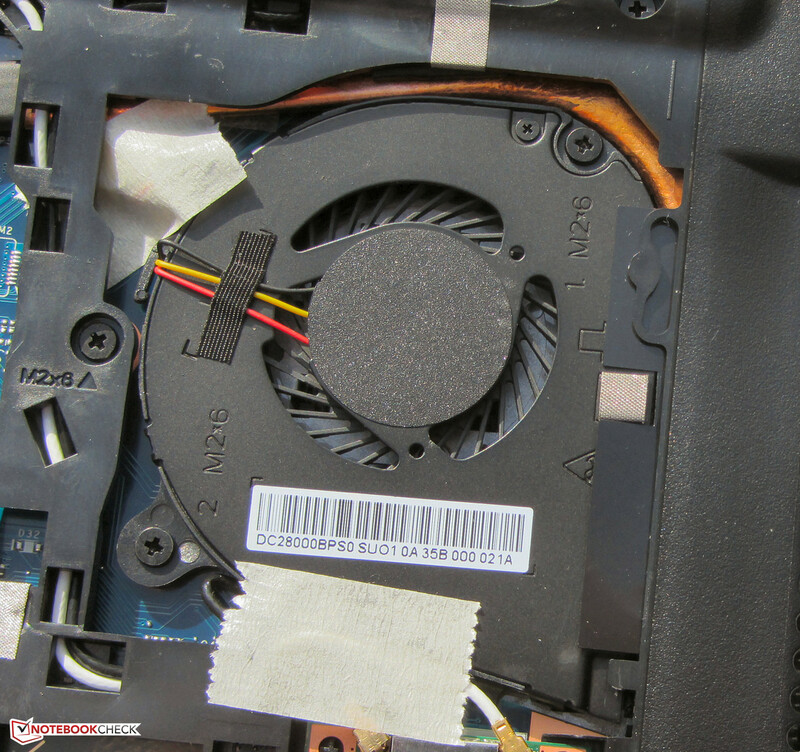 The CPU temperature hovers around 70 degrees Celsius (158 °F) in mains operation. (+) The maximum temperature on the upper side is 37.3 °C / 99 F, compared to the average of 35.8 °C / 96 F, ranging from 22 to 57 °C for the class Subnotebook. The power consumption is low and ranges from 4.5 to 7.3 Watts while idle. The ThinkPad Edge (6.8 to 10.8 Watts) and the V5-122P (6.9 to 12.4 Watts) are significantly more power hungry. Under medium load (3D Mark 06) and full load (stress test: Prime95 and FurMark) the power consumption of the Aspire increases to 20.3 and 24.7 Watts, respectively. The V5-122P (18.3 and 23.3 Watts) performs slightly better. 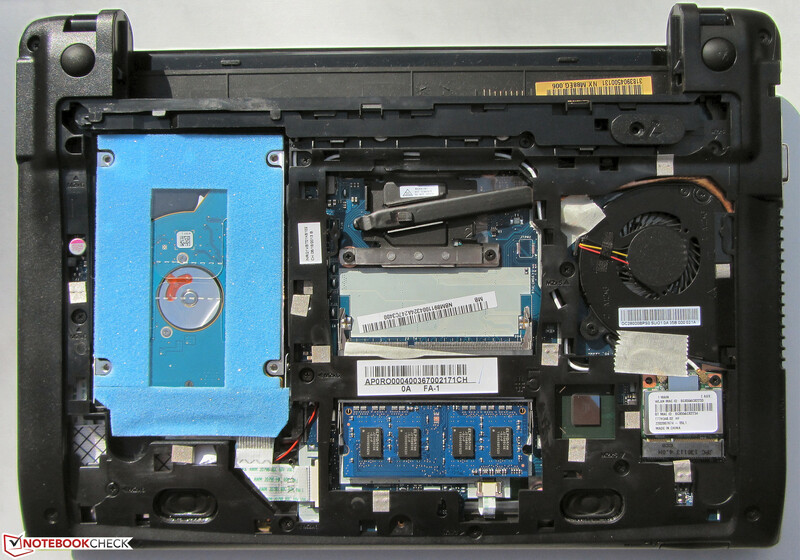 Being equipped with the fastest CPU, the ThinkPad Edge (29.2 and 33.6 Watts) requires the most energy. In addition, the Aspire is more frugal than the Aspire One 756-B847X and the Aspire One 756-NU.SH0EG.007 with the same design in all scenarios. The battery life of the Aspire is 12:15 h while idle. The ThinkPad Edge's (10:23 h) is significantly shorter and the V5-122P (6:19 h) performs even worse. The Battery Eater Reader's test records the idle runtime with lowest display brightness, energy-saving profile, and disabled wireless modules. The Aspire achieves a battery life of 3:49 h under load. The ThinkPad Edge (2:12 h) and V5-122P (1:53 h) shut down significantly earlier. 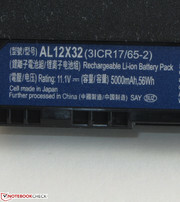 The load runtimes were recorded by the Battery Eater Classic test with maximum display brightness, profile "maximum performance" and enabled wireless modules. The Wi-Fi test ends after 5:52 h on the Aspire. The ThinkPad Edge (5:44 h) is on par and the V5-122P (3:07 h) performs worse than the competitors again. During this test, a script automatically loads web site every 40 seconds. The energy-saving profile is selected and the display brightness is set to about 150 cd/m². It is not surprising that the Aspire achieves the best battery life. 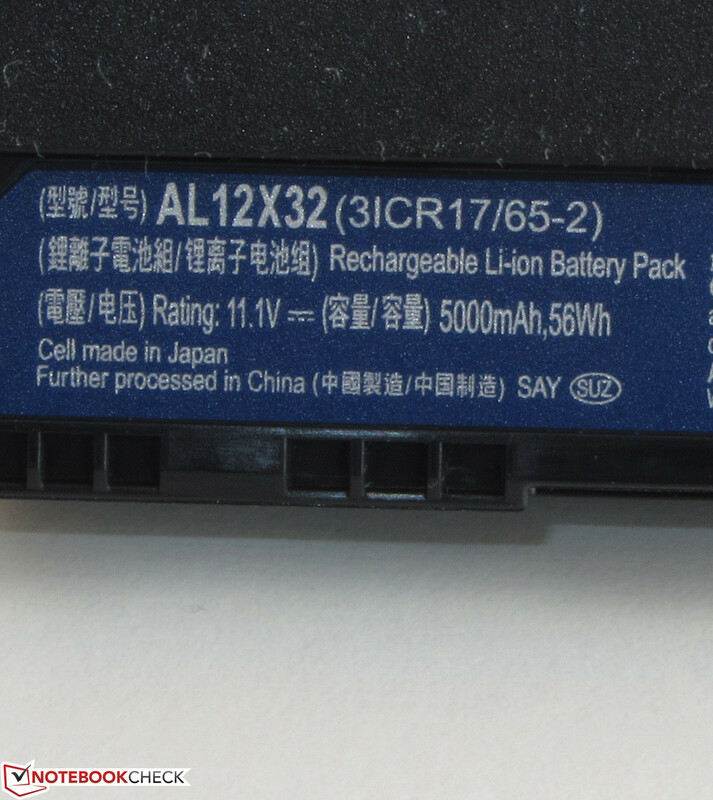 Its battery capacity (V5-131: 56 Wh, ThinkPad Edge: 63 Wh, V5-122P: 30 Wh) is only slightly lower than the ThinkPad Edge's, but it needs significantly less energy. Acer offers a balanced bundle. The Aspire V5-131's system performance is sufficient for everyday tasks. It works quietly and does not need too much energy, which gets especially apparent when compared to the Aspire One 756 models with the same design. They are significantly louder, because they get warmer and they need more energy. In addition, the Aspire V5-131 comes with a significantly bigger battery and achieves longer battery runtimes. The display is only modestly bright, bluish and its contrast could be higher. But, it is very satisfactory for the price. 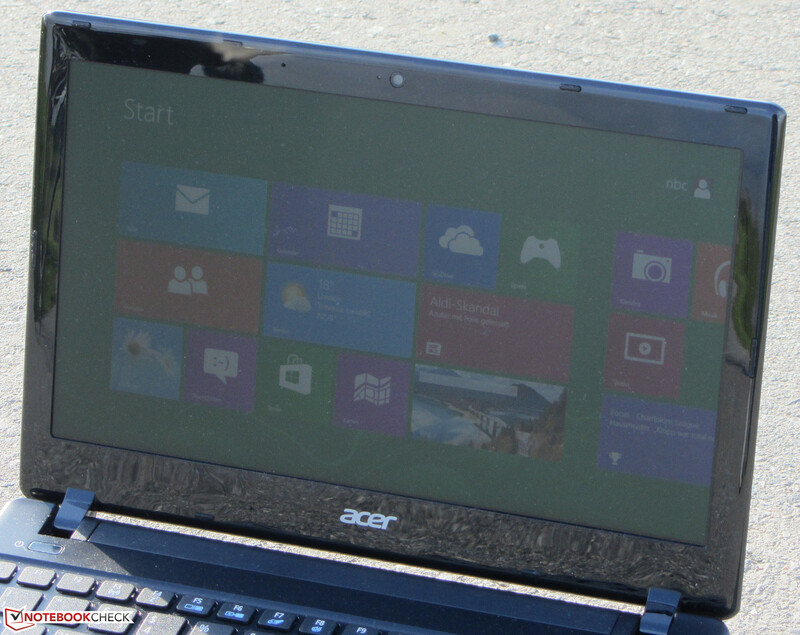 If an IPS display with wide viewing angles is important for you, the Acer Aspire V5-122P is an interesting model. In addition, the V5-122P features a touchscreen. 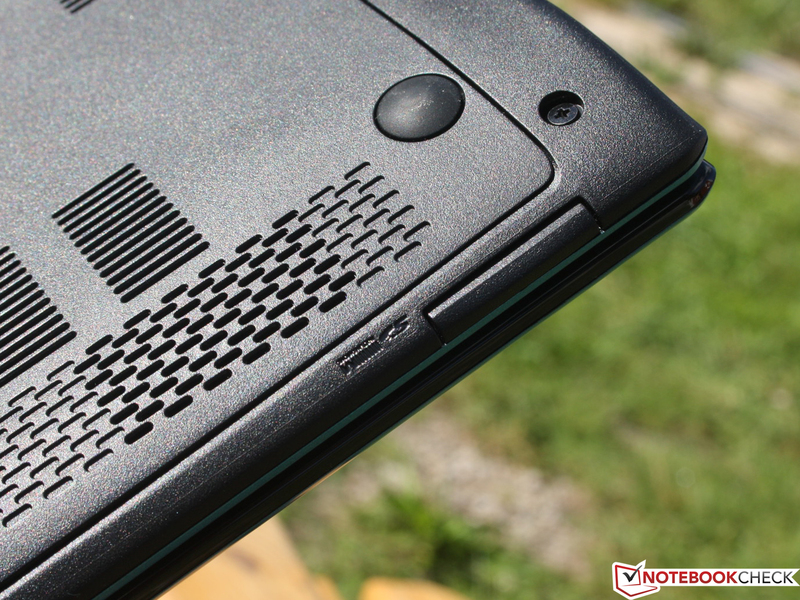 You should consider the Lenovo ThinkPad Edge E130, if you appreciate decent input devices. Among the three competitors, it features the best keyboard. The ThinkPad Edge also is the first choice if CPU performance is relevant. In addition, the Lenovo is available from 319 Euros (~$431), if a Pentium 997 is sufficient and you do not need a Windows OS. 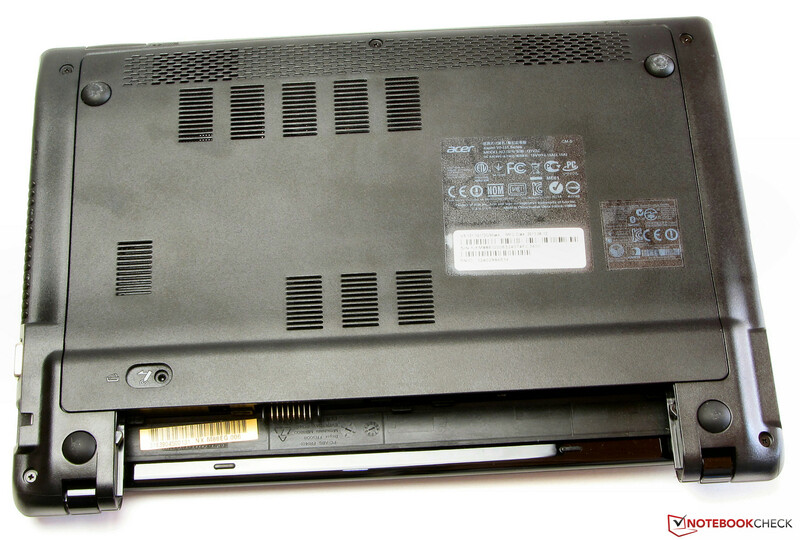 We already had a Pentium model of the ThinkPad Edge under review. The key travel is short. The hinges hold the lid safely in place. ...there are the inner components. The hard drive is replaceable. 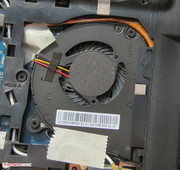 The fans can be removed for cleaning. 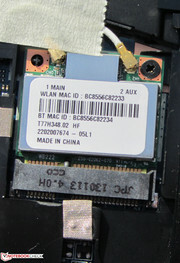 Two Wi-Fi antennas are built-in. ...and has a capacity of 56 Wh. A tool is needed to remove the battery. The power adapter weighs about 193 grams (~6.8 ounces) and has a maximum output of 40 Watts. The low system noise. We also appreciate the low power consumption and the good battery runtimes resulting from it. 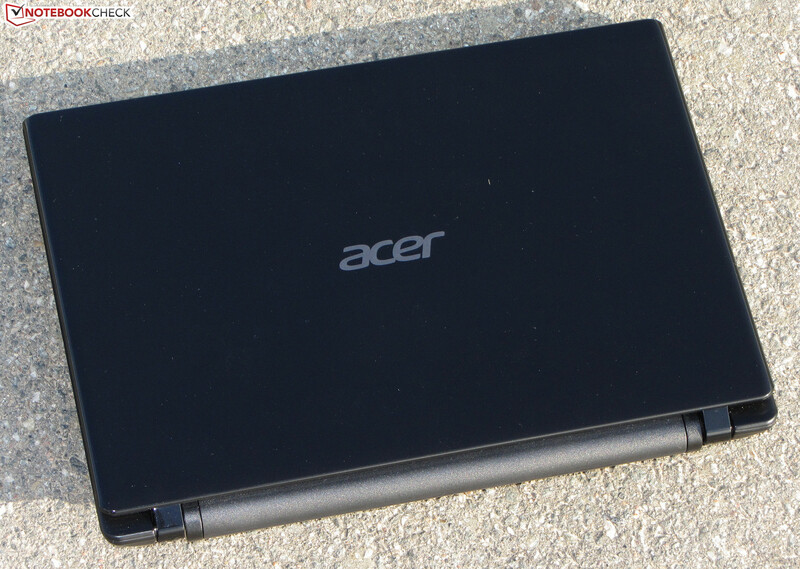 Acer managed to make energy consumption and temperature increase lower than the Aspire One 756 siblings.